Grimentz is a small village in the Swiss Alps in the heart of Valais, located at 1572 meters above sea level, in the Val d’Anniviers. The village has an ideal setting for apartment purchase and real estate investment. Within the Grimentz-Zinal ski resort, Grimentz is the largest village in the Val d’Anniviers, geographically between Zermatt (The Matterhorn) in the East, Verbier in the West, Crans-Montana in the North on the other side of the Rhone Valley.The surrounding high mountains offer a grandiose landscape as well as the best for (high) mountain recreation, such as its proximity to Lake Moiry. 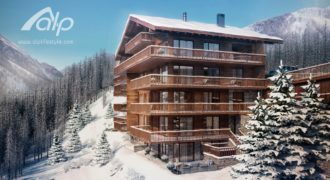 Located 1587 meters above sea level, to the west of the village of Grimentz with impressive panoramic views, Chalet les Rahâs offers many luxury apartments at the foot of the slopes. 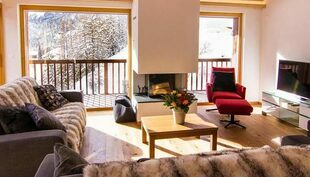 Chalet Les Rahâs offers a dozen spacious apartments designed with all the equipment suitable for rental and made with a high Swiss standard in the choice of finishes and equipment. With an apartment in a chalet, you will have all the comforts of an apartment, and all the charm of a high mountain chalet. 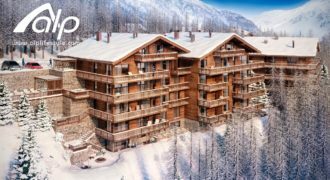 Why Alplifestyle as Real Estate in Grimentz ? Alplifestyle is a real estate agency expert in the Grimentz region. We know our market, the history of the communities, neighborhoods and the moutains surrounding the city. We are not just real estate adviser, we are passionate people who can give you so much more information than just a classic real estate agency in Grimentz. 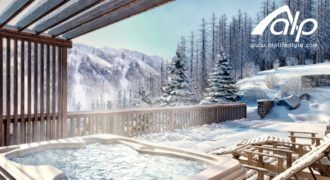 We own the most beautiful development projects in the Grimentz area and propose a lot of apartments close to the ski resort in luxury mountain chalet with amazing services and views. 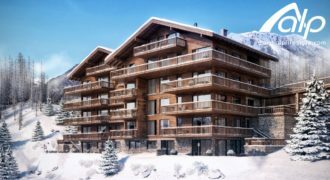 Alplifestyle comes with all the solutions to buy apartments in Grimentz. We provide you with every types of apartments for you. Come and buy with us your dream apartment in Grimentz at very affordable price. We expect to discretely help you all through the different stages important to buy an apartment. We need to offer you the chance to make your fantasies work out as expected, for example, to be the proprietor of a real estate in the village in a one of a kind living condition, while profiting by the ability of an office established in real estate since long. To buy your desired flats or apartments from Alplifestyle contact our support staff directly.